l-r; Howard Jones, candidate for State Senator District 19 and Bill Freeman, prominent area businessman. Thelma Harper has represented the 19th Senatorial District with honor and distinction for more than 25 years, not only in Nashville but throughout Davidson County and across the state, consistently displaying to voters courage and integrity in her stances on multiple issues. She announced her decision not to seek re-election a few weeks ago. Jones has held more multitudinous Meet & Greets, Town Halls, Community Meetings, one-on-one sessions, general meetings, presentations and rallies throughout Nashville and Davidson County since announcing his decision to run in February, 2017. He has made immediacy and direct interaction with voters, key parts of his campaign strategy in a desire to continue the legacy of past Senators Avon Williams and Harper. Jones’ track record is an impressive one. During his 27 years as pastor of Fairfield M. B. Church economic empowerment of both the membership and overall community has been a primary objective. Some of the projects he’s championed include the church’s purchase of a million dollar plus religious center in Goodlettsville. 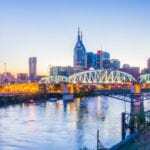 Fairfield has also owned and operated affordable housing near downtown Nashville for more than 20 years, anticipating what has now become a major problem in a city increasingly targeted by upscale developers whose projects aren’t geared toward middle or lower income populations. Fairfield also recently purchased the former Harpers Restaurant on historic Jefferson Street, renaming it Kingdom Café and Grill, a move that ensures more job opportunities within the community, as well as retains a Black-owned business there. Jones has worked in the Metro Nashville Public School system more than 25 years, serving as an assistant principal, teacher and curriculum coach. He’s also been active in counseling and supporting children in numerous extracurricular activities, ranging from tutoring sessions to summer school programs at his church. He has also served as a Juvenile Court Clerk Official, working with young people to keep them on the right track. A native Nashvillian, graduate of Whites Creek High School, and recipient of both a bachelor’s and master’s degree from Tennessee State, as well as attending American Baptist College for Theological Studies, Howard Jones has a diverse and extensive educational background. 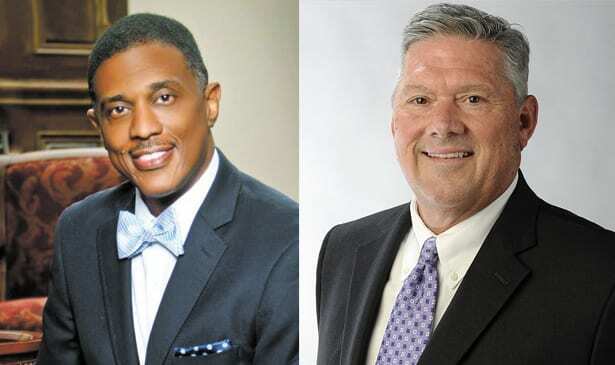 Freeman cited his total record as an educator and community advocate for economic uplift and advancement, as well as his high character, as major reasons for this endorsement. He added he feels Jones will support and implement legislation that will improve the lives of all citizens in many areas. In particular, he feels Jones’ legislative focus will be on bills that establish economic development through job creation and support for local businesses, plus the expansion of affordable housing.